Oh yea! Great weekend of baseball coming up. Mets vs Yankees. 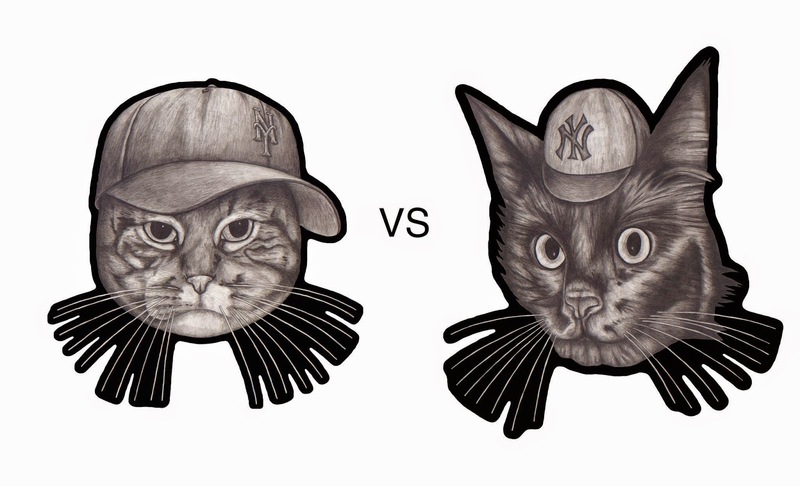 Let's go Yankees, let's go Yankees, let's go Yankees! Sunday in the studio. 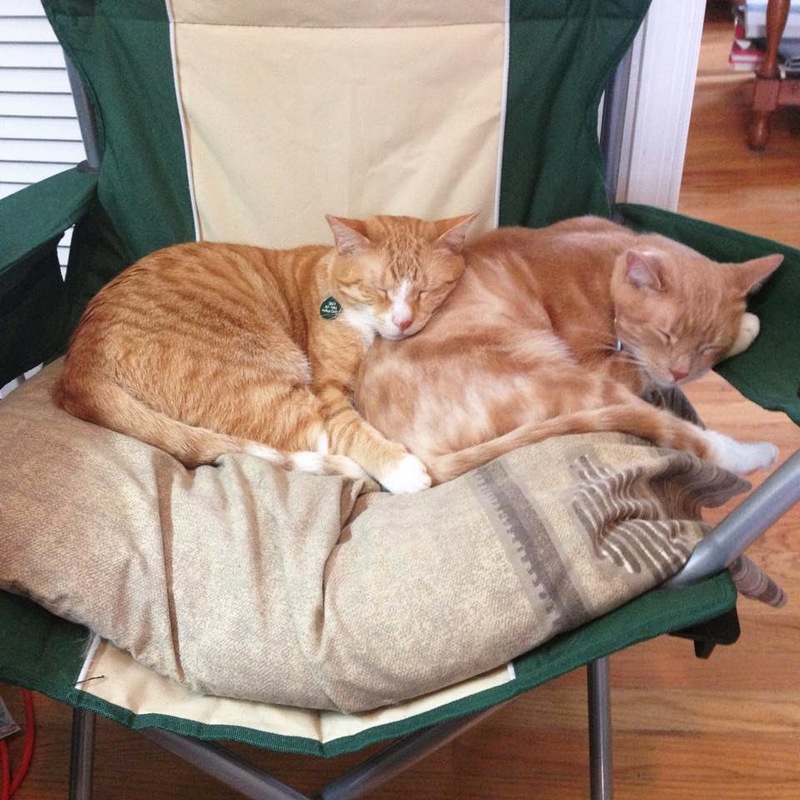 Frank is always leo's pillow. Here is Owen. This Corgi comes from the burbs of Philly. He's sporting a nice polka dot bowtie. Coffee from my favorite mug, the Garfield coffee mug, is a great way to start my Saturday mornings. 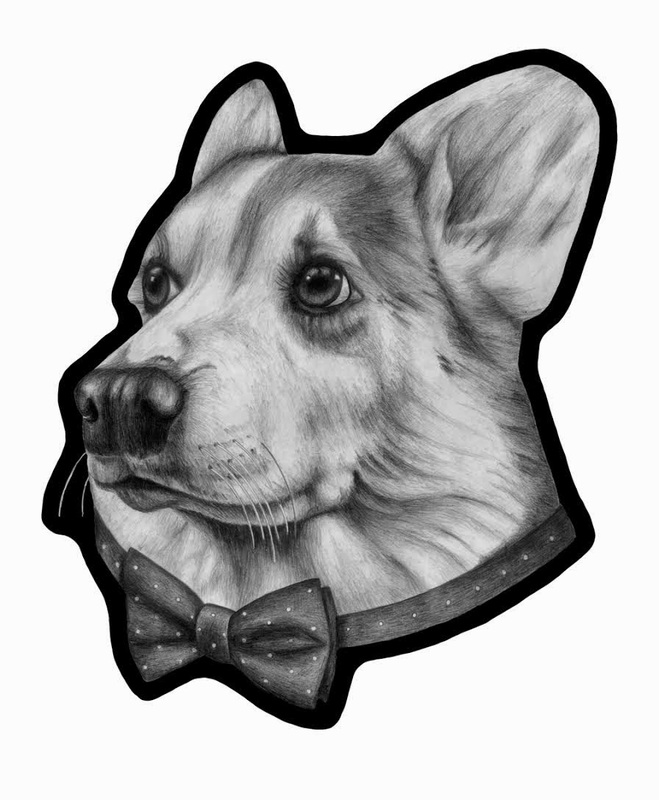 The Corgi dog portrait is coming along nicely, though slowly. Spring is finally here and so I've been out on my bikes a lot lately. 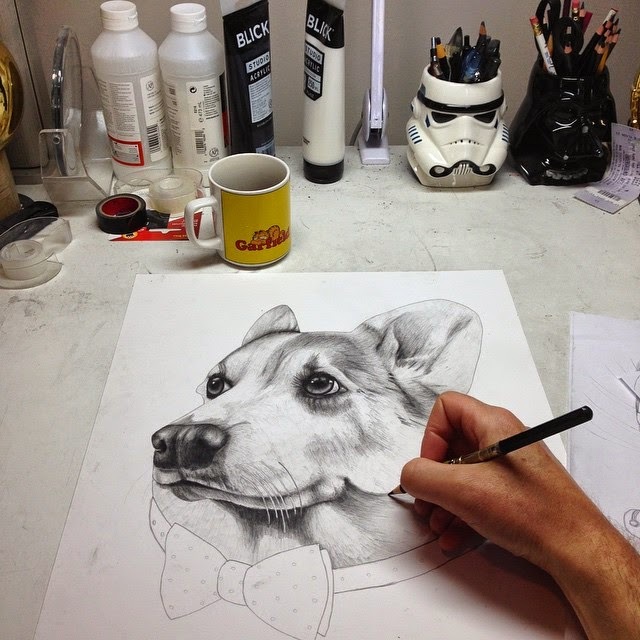 Stay tuned for the finished Corgi portrait! Backyard cats in the spring sun! 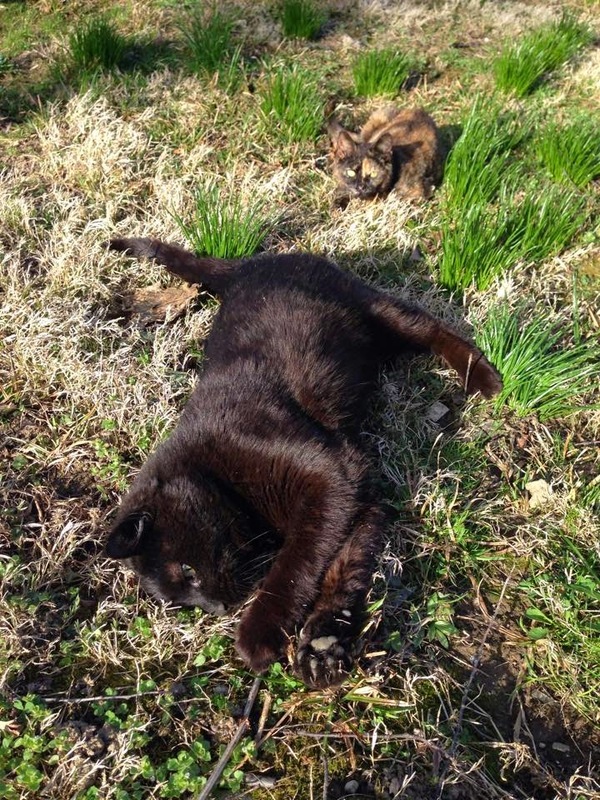 These two backyard cats are enjoying the spring sun! For over a year I've been helping these two out with food and shelter. The kitten for about six months though. It's nice to chill on the back steps watching these two cats chase each other in the warm sun. Yay spring! My sketch pad is getting filled up of portraits. 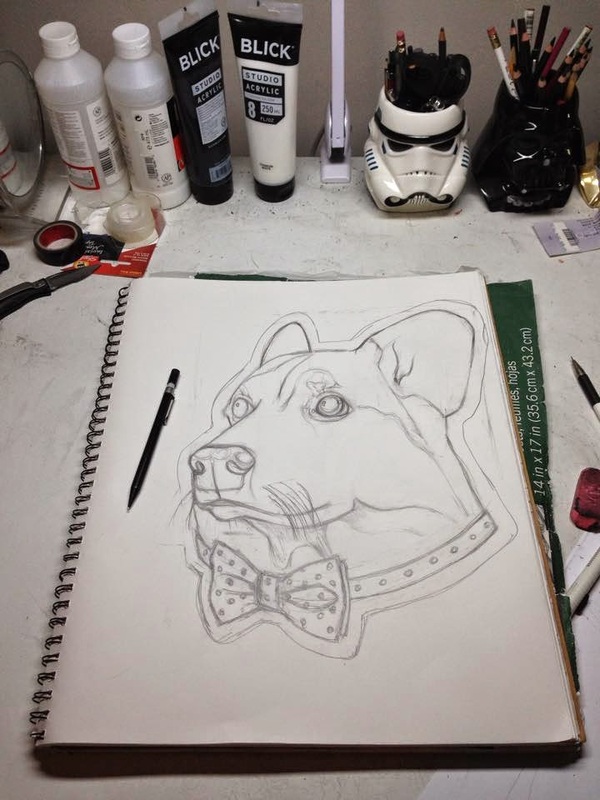 Here is a new dog portrait in the works, it's a corgi! Stay tuned for updates on the process on this dog. 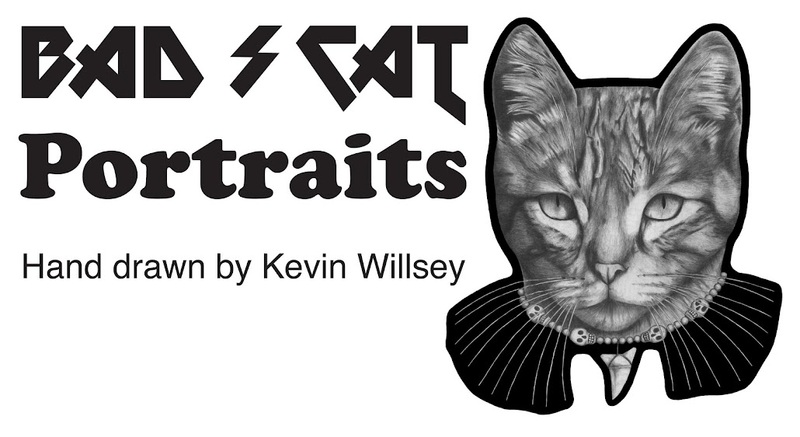 Cat portrait sketched out. Frankie, the jester!